Ronald Stephen Folsom, age 66, of Jasper passed away November 9, 2018 at his home. Mr. Folsom owned and operated the Blue Rodeo Cafe in Jasper. 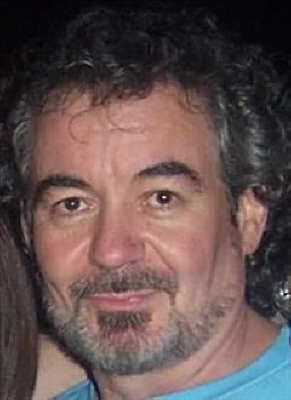 He is survived by his wife, Scarlet Folsom of Whiteville North Carolina; mother of his children, Brenda Doyle Folsom; daughter and son-in-law, Lisa and Jason Lawrence of Jasper; son and daughter-in-law, Stephen and Shelly Folsom of Canton; grandchildren, Destiny and Michael D'Errico, Autumn and Summer Andrews, Jacob and Blake Folsom, Stephanie DeGiovanni and Nathan Weaver; great-grandson, Anderson Folsom; brother, Clark Folsom. Several nieces, nephews and other relatives also survive. Mr. Folsom was preceded in death by his mother and father, Francis and Hollis Folsom; grandson, Dustin Voyles; and brothers Ray Folsom and Anthony Folsom. The family will be receiving friends on Sunday, November 11, 2018 from 11:00 a.m. until 10:00 p.m. at Roper Funeral Home. Funeral service is scheduled for Monday, November 12, 2018 at 2:00 p.m. in the Chapel of Roper Funeral Home with Reverend Jimmy Gayton officiating. To send flowers or a remembrance gift to the family of Ronald Stephen Folsom, please visit our Tribute Store. "Email Address" would like to share the life celebration of Ronald Stephen Folsom. Click on the "link" to go to share a favorite memory or leave a condolence message for the family.